Watching the goings-on in the modern academia is a hazardous occupation. From the point of view of many actors on that scene, all they are doing is cleaning the scene of "toxicity" - real or imaginary. The viewer, though, gets the full dose of the toxicity directly in his/her face... but it is rather a personal complaint. Here is a really heart-wrenching example of the juggernaut of Political Correctness squashing under its wheels an innocent and well meaning young person. Because of some overly sensitive human embryo, whose pea brain and overwhelming sensitivity and entitlement don't bear a shadow of debate. At this point I feel the need to stop for a moment and to explain. Jordan Peterson is a Canadian clinical psychologist, cultural critic, and professor of psychology at the University of Toronto. His ascent to notoriety came with his opposition to the use of genderless pronouns and his attacks on political correctness. Here he explains some of his views. Shepherd said she was trying to demonstrate that the structure of a language can affect the society in which it is spoken in ways people might not anticipate. To illustrate her point, she said she mentioned that long-standing views on gender had probably been shaped by the gender-specific pronouns that are part of English’s fundamental grammatical structure. The clip of Peterson debating sexual diversity scholar Nicholas Matte, she said, was meant to demonstrate ways in which the existence of gender-specific pronouns has caused controversy. So, her crime was not in expressing support for the professor's views - just in showing a clip where his views are explained to the pupils. That's all, but this was sufficient for the faculty Inquisition** to open a so called "investigation", when one of the students complained. In this article you can listen to a partial recording (made in secret, I understand) of the meeting between Ms Shepherd and faculty. It was quite painful to me for personal reasons, having being present at several Soviet meetings of this kind. The chief interlocutor (the male voice in the recording), with his incessant probing and incessant attempts to detect the crime in Ms Shepherd's words, is chilling. Here is a really toxic character. In short, McCarthyism that is coming back under a new guise and is promoted by another breed of PC priests. (*) At least there is a voice of protest from Wilfrid Laurier. Good for you, professor Haskell! (**) And let's listen a bit to one of the Inquisitors, part of the above mentioned "investigation" committee. Dr. Pimlott is currently working on an anthology of Karl Marx's journalism as well as developing research on strategic communications and social justice movements in Canada. Update: Nathan Rambukkana, Assistant Professor, Communication Studies is the chief speaker in the clip, and here is the transcript for your convenience. Shocking. Laurier president and vice-chancellor Deborah MacLatchy apologized to Shepherd on Tuesday after media outlets carried the full audio of a conversation between her, her supervising professor Dr. Nathan Rambukkana as well as another professor, Herbert Pimlott, and the manager of Gendered Violence Prevention and Support, Adria Joel. Shepherd recorded the conversation in secret. Update 3: Full recording of the meeting. Update 5: I sincerely hope that this will be the last update on the subject (unless Mr Rambukkana and Mr Pimlott are fired, then I will be happy to amend this post again). 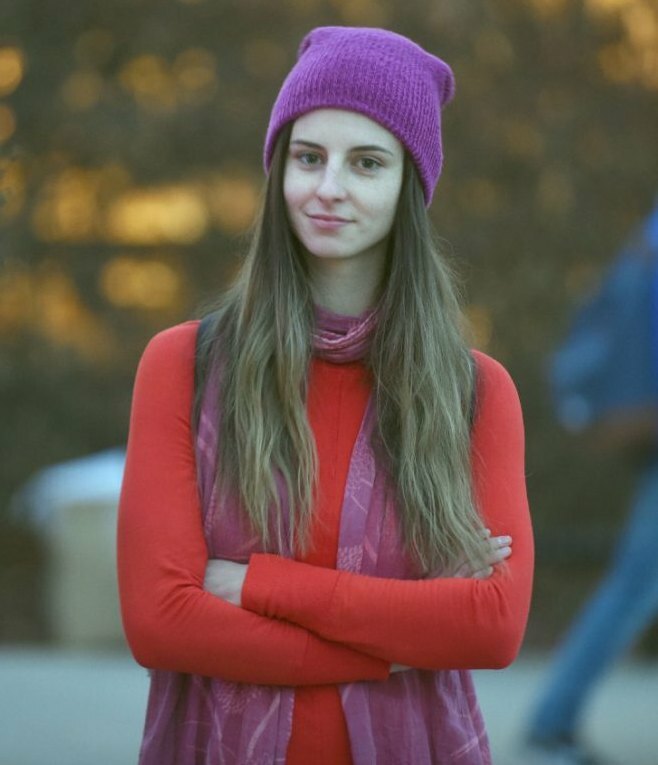 The lawyer engaged by Wilfrid Laurier University to prepare a fact-finding report into a controversial reprimand of graduate student Lindsay Shepherd has confirmed there was never a formal complaint about her tutorial. In a letter dated Dec. 4, and sent to Shepherd's lawyer Howard Levitt, from the Laurier-hired lawyer Robert Centa, it reads: "You asked for a copy of the complaint or complaints filed against your client. At this point in my investigation, I do not believe there is a document that contains a 'complaint' made about Ms. Shepherd nor is there anything I would describe as a formal complaint under any WLU policy," wrote Centa. How do you like them chickens?